The title of this blogpost is the name of a Windlight-setting, one I have picked to show how I edit wind-lights to my liking, after I was challenged to show off my favourite windlight. I do not have a favourite though, I tend to edit all sorts of windlights into something completely different and they are hardly the same on any picture, although some may resemble each-other. After some thinking and pondering I decided to turn this challenge into a mini-tutorial on how I usually play around for let’s say: a portrait of myself! I never use studio’s or any prim-background for portraits, I prefer to play in the outdoors and always either stand in a sandbox – with nothing behind me – or in some ocean, with my back to the open sea, allowing me to use the sun and moon and whatever to create the shadows and light I want. For this portrait I stood in the sea, hehe, and my first step is – I am skipping the styling and all that – is to push up the graphics to ultra, but no dept of field in this case. (note: you can click on the images in this post to get the larger version, also keep in mind I am using the official LL Viewer so for other viewers the menus may look different!). Nice…but not what I had in mind, so time to play with the sliders in the edit Sky Preset – menu! You can do all this with any wind-light of your choosing, and you can choose to save them as well, something I never do…because: lazy and I edit them all the time anyway :). I Love the peeks you share into how you do the things you do. Great wl you modded it into ! I’ve just begun to look into windlight. 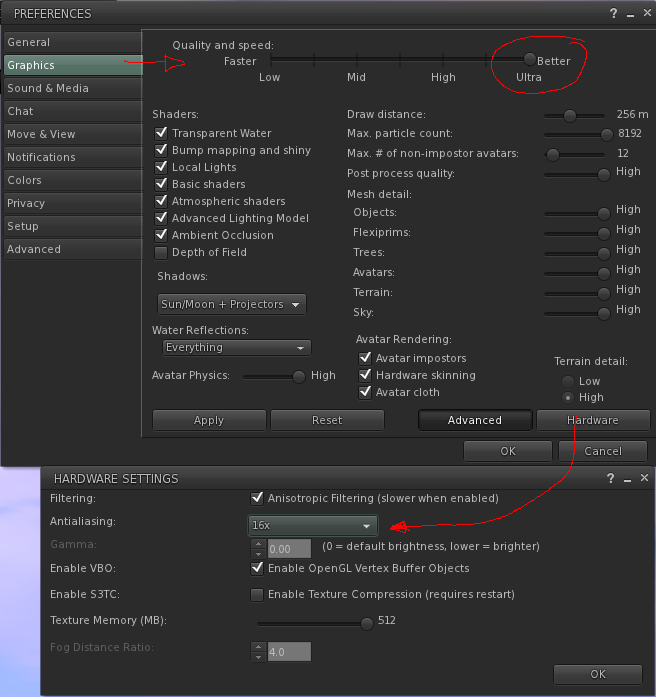 There are tons of links to download different settings on the Secondlife Wiki – do you recommend doing that or did you obtain yours some other way? Hello Girlforgetful, I got most of my windlights indeed from the wiki, some from bloggers as Strawberry Singh and a lot from other viewers (I simply installed FS and Black Dragon, copied their windlights to my own folder and imported them in the LL Viewer, same way as described in Wiki and then removed the viewers again – never use them…ahem..).